I’m having a love affair (three years long now) with a poem. It’s called “Pike”, written by Ted Hughes. Ted Hughes is a shaman, in case you didn’t know. He’s actually a British poet who began publishing in the mid 20th century. I think he’s a shaman though. He’s written loads of good stuff but I like “Pike” the best. It’s a poem about fish and the person who endeavors to snag one on the end of his/her fishing line. When I first read the poem three years ago, I knew it was about transcendence and then I read a book about Hughes and shamanism (I told you so), and that really confirmed it. “Pike” and Ted Hughes came to mind. “Historians are fishing” I say. “Artists are fishing”, I say. I read “Pike” again this evening. 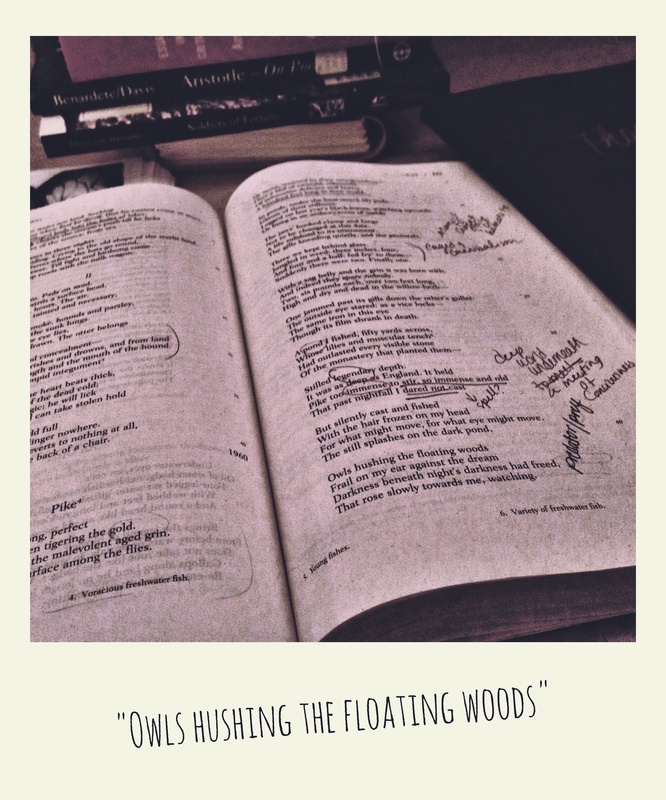 I read it aloud and lingered on the final two stanzas–sensed their power as the woods floated. You make me want to be a poet. Opening my notebook is easier because of you. What artist speaks to you? Who inspires you? #gsandns to be featured on Facebook, Twitter, and Instagram. Get published! Submit for the March Issue>Click here. Deadline Feb. 22nd! Meet Chloe & Hailie-Interns Extraordinaire!